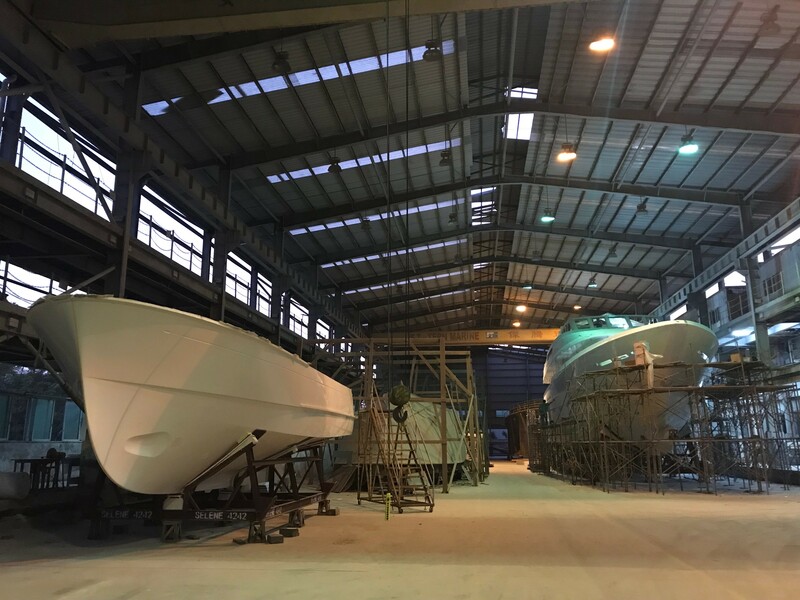 The classy and elegant Selene 42 Voyager Sedan is becoming December 2017’s best-seller yacht with three brand new boats under construction at our Zhuhai facilities! The last order was placed a few days ago at the shipyard while a shorter 38′ version was re-designed and customized for a client with marina and berthing constraints. The Selene 42 Voyager Sedan is a perfect gentleman’s yacht for family coastal cruising in style and comfort but the owner of hull 4242 is already planning a passage from Singapore to Brisbane along the Indonesian shoreline! This yacht is equipped with a Seakeeper gyrostabilizer, a Key Power hydraulic get-home engine and a Spectra watermaker. The delivery of this yacht is expected for May next year.